Kelsen Brewing Company opened its doors in Derry, NH on March 1, 2014. Kelsen is known for pushing the limits of beer styles, while maintaining an intense focus on brewing highly drinkable craft beers. 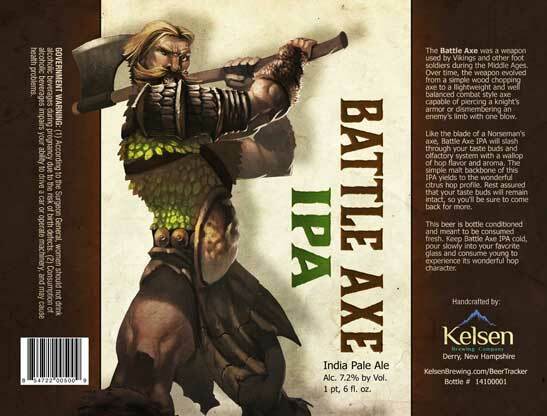 Kelsen beers include Battle Axe IPA, Paradigm Brown Ale, Spacetown Pale Ale and Double Battle Axe Imperial IPA. 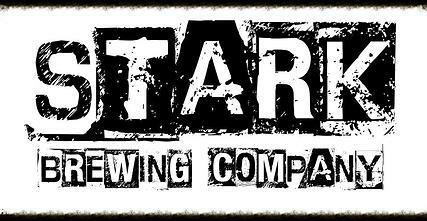 The Derry, NH brewery is a 3 BBL brewhouse producing approximately 500 BBL of beer each year. The Tasting Room is open to the public on Thursday, Friday and Saturday. Third Chair: Welcome Back Jason Phelps! 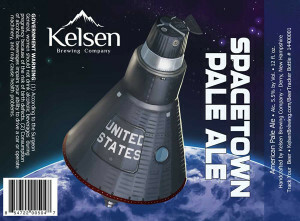 Draft Pick’s of the Week: Kelsen Brews! We brewed Spacetown Pale Ale to honor the citizens of Derry and the celebrated history of the town. The light-bodied malt profile allows the citrus hop flavor to really shine in this beer. Brewed with a touch of Pilsner malt and Wheat, this is a nice crisp beer for summer and the rest of the year. Battle Axe IPA is a unique example of the style, focused on smooth hop flavors and aroma, while avoiding the harsh bitterness found so often in today’s IPAs. Rather than competing for the most bitter beer available, we chose to leverage voluminous late hop additions in the boil to produce a highly drinkable IPA with strong hop flavors, fresh citrus hop aroma and a profound drinkability that makes it a great food beer. par·a·digm \per-ə-dīm\ an outstandingly clear or typical example. There are only a few moments in life where an opportunity arises that may possibly change the way you view the world. This is one of those moments. 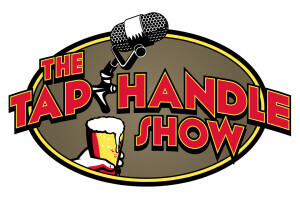 What you have in your hand is an outstandingly clear or typical example of what an American Brown Ale should be. 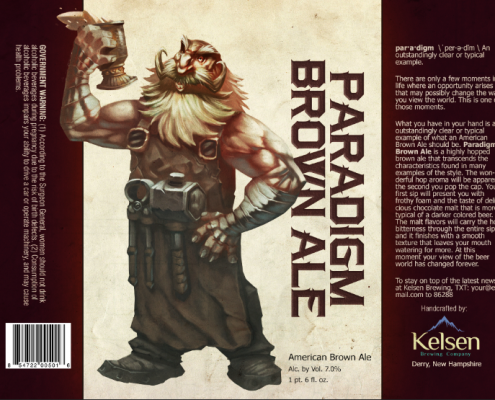 Paradigm Brown Ale is a highly hopped brown ale that transcends the characteristics found in many examples of the style. The wonderful hop aroma will be apparent the second you pop the cap. Your first sip will present you with frothy foam and the taste of delicious chocolate malt that is more typical of a darker colored beer. The malt flavors will carry the hop bitterness through the entire sip and it finishes with a smooth texture that leaves your mouth watering for more. At this moment your view of the beer world has changed forever. Aroma: A prominent to intense hop aroma with a citrusy, floral, perfume-like, resinous, piney, and/or fruity character derived from American hops. Many versions are dry hopped and can have an additional grassy aroma, although this is not required. Some clean malty sweetness may be found in the background, but should be at a lower level than in English examples. Fruitiness, either from esters or hops, may also be detected in some versions, although a neutral fermentation character is also acceptable. Some alcohol may be noted. Appearance: Color ranges from medium gold to medium reddish copper; some versions can have an orange-ish tint. Should be clear, although unfiltered dry-hopped versions may be a bit hazy. Good head stand with white to off-white color should persist. Flavor: Hop flavor is medium to high, and should reflect an American hop character with citrusy, floral, resinous, piney or fruity aspects. Medium-high to very high hop bitterness, although the malt backbone will support the strong hop character and provide the best balance. Malt flavor should be low to medium, and is generally clean and malty sweet although some caramel or toasty flavors are acceptable at low levels. No diacetyl. Low fruitiness is acceptable but not required. The bitterness may linger into the aftertaste but should not be harsh. Medium-dry to dry finish. Some clean alcohol flavor can be noted in stronger versions. Oak is inappropriate in this style. May be slightly sulfury, but most examples do not exhibit this character. Mouthfeel: Smooth, medium-light to medium-bodied mouthfeel without hop-derived astringency, although moderate to medium-high carbonation can combine to render an overall dry sensation in the presence of malt sweetness. Some smooth alcohol warming can and should be sensed in stronger (but not all) versions. Body is generally less than in English counterparts. Overall Impression: A decidedly hoppy and bitter, moderately strong American pale ale. History: An American version of the historical English style, brewed using American ingredients and attitude. Ingredients: Pale ale malt (well-modified and suitable for single-temperature infusion mashing); American hops; American yeast that can give a clean or slightly fruity profile. Generally all-malt, but mashed at lower temperatures for high attenuation. Water character varies from soft to moderately sulfate. Versions with a noticeable Rye character (“RyePA”) should be entered in the Specialty category. DERRY, N.H. – Kelsen Brewing Company, one of the newest craft breweries in New Hampshire, recently competed in the prestigious 2014 US Open Beer Championship. 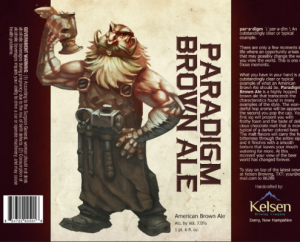 Kelsen Brewing is pleased to announce that its Paradigm Brown Ale won the Gold Medal in the category of American Brown Ale and its Double Battle Axe Imperial IPA took home the Bronze Medal in the category of Imperial IPA. 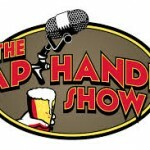 The US Open Beer Championship announced the winners over the July 4th weekend. Breweries from Australia to Iceland sent in more than 3,000 beers and ciders for the 2014 U.S. Open Beer Championship. Other competitors included Stone Brewing, Deschutes Brewery, Boston Beer Company and the oldest brewery in the world, Weihenstephaner, founded in 1040 out of Freising,Germany. READ MORE! Sometimes we drink with the sole purpose of relaxing, or drowning the week’s worries. But other times we just want to savor a special craft beer or vintage wine, or make that good meal taste even better. And as we get older, we’re warier of that third or fourth glass. The of too much alcohol — the drowsiness, the confusion and the wobbling — are a bigger hindrance. And let’s face it: A hangover at 36 isn’t the same as one at 22. So when we came across a tip in for staving off intoxication, we perked up. You mean I might be able to have another glass of pinot noir or a third IPA without getting as loopy? Tell me more. is a professional drinker. As the founder and brewer of Sam Adams, Koch tastes every batch of beer Boston Beer Co. makes before it leaves the brewery. This involves a lot of sipping, sometimes well before noon. READ MORE! 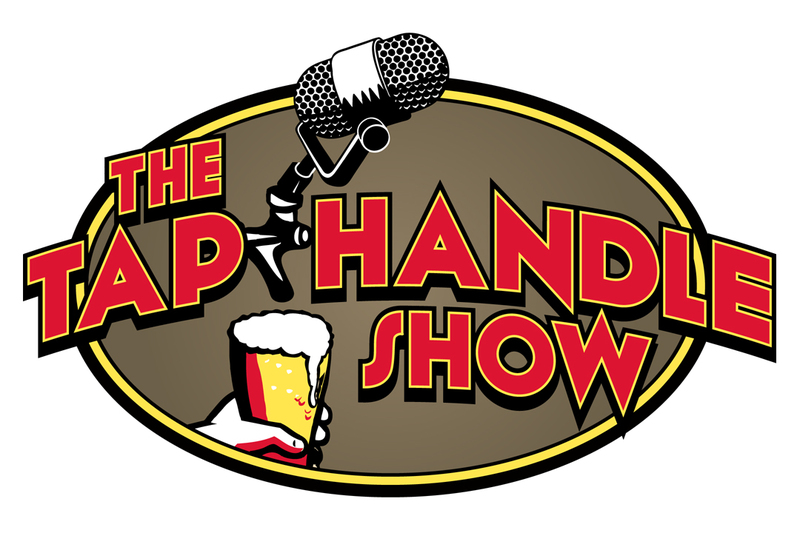 Beer enthusiasts rejoice. A new machine claims to deliver craft brews right in the comfort of your own home. Introducing Synek, a personal tap system that uses interchangeable bag-in-a-box cartridges –similar to Keurig’s coffee cartridges– to deliver stein after stein of fresh beer. Instead of a keg or glass growler, Synek takes vacuum-sealed, one-gallon bags of beer and lets users pump in their own carbonation. The carbonation is adjustable and the system has a pressure relief valve to prevent over pressurization. READ MORE! 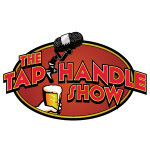 THS 23: Carl Setzer From Great Leap Brewing in CHINA! THS 25: Brian Link from Milley’s Tavern & Stark Brewing Co.